Dancemania lives! Oh, and so do I 😀 As you may or may not have noticed, the blog hasn’t really been updated for a few months now. In addition to a lack of motivation and being busy, there just hasn’t been all that much to write about. I intended on starting things up again next year with a renewed focus (sorry, no more non-dance Exit Tunes releases), but had to break my hiatus to bring news of a new Dancemania release! 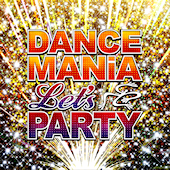 That’s right, after a break of its own, Dancemania comes back with a new digital release. The last release in the series was Zipmania All Best Mix almost two years ago exactly. And while a digital release isn’t exactly ideal, it’s nice to know that Universal still think that the Dancemania brand still has value. The album art even has the squiggly mascot! Here’s hoping this means that there’ll be a proper anniversary release next year, which will mark 20 years since the release of Dancemania 1 back in 1996. Now for the bad news: the tracklist. It’s mostly EDM, which is fine since that’s what dance music sounds like today. What’s not okay is including tracks like “Beauty and a Beat” or “Hangover” from 2012. Thankfully, there are some more recent tracks that actually debuted in 2015, but they’re too few and far between. I wouldn’t mind if Dancemania returned as an EDM mix series, but put some effort into it, Universal! The album is available on iTunes Japan as well as other Japanese digital stores. Glad to see you (and the Dancemania jelly man) again! 🙂 Would be so stoked for a 20th anniversary Dancemania! I have been checking the page daily still for new posts. Glad something is getting released. Thanks for checking in! Wish I had more stuff for you to look forward to, heh. But yeah, EDM can be pretty hit or miss, with a lot of it sounding very similar. Then again, I suppose the same thing could’ve been said for trance. Yup, it’s full versions. Funnily enough, the total length is 77 minutes, which would’ve fit perfectly on a CD as a mix CD. And I’ll have a post on the Fumi Yeah album soon, it looks very interesting! The title of this CD says it all. Ha! Glad to see the doujin scene picking up some of the slack. Classical Candy 3 was released last month as well. Hey DanceMaster, thanks for tipping me off to this. Guess Dancemania isn’t dead after all. I sent you a couple of emails, hope to hear back from you.